We have lift off – EBCF 2017 programme officially launched! 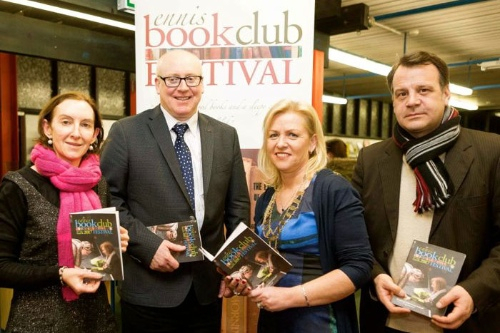 Our 11th EBCF programme (03-05 March 2017) was launched in De Valera library, Ennis this week. Lisa McInerney read excerpts from her new novel – The Blood Miracles.It promises to be another cracker by the way! Clare Youth Theatre wowed us with their assured dramatisations of literary works. And, Etain McCooey of the Jaskane Trio provided a wonderful musical accompaniment following opening words by Mayor of Ennis, Cllr Ann Norton and Artistic Director, Paul Perry. Check out photos of the launch below. So what will you dip into at the upcoming Festival? A heart-warming exploration of southern France with Carol Drinkwater? Or how about our inaugurual Laureate for Fiction, Anne Enright, in conversation with the ever-insightful Donal Ryan? 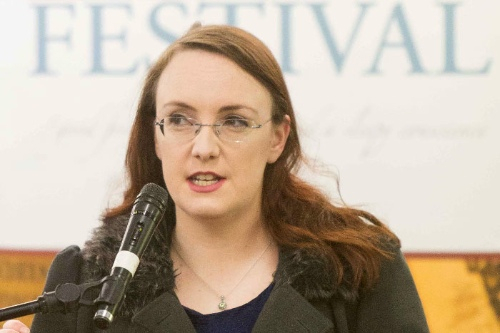 International Women’s Day falls a few days after the Festival; we’re delighted therefore to have Sinéad Gleeson and friends join us to discuss the emergence of Irish women writers. Can you tell us what’s considered the greatest Irish novel ever? Find out this and more at our bilingual discussion of Cré na Cille. 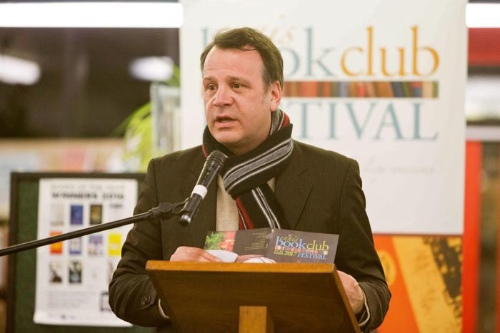 Or hear from local poetry voices with Frank Golden and the Clare Poetry Collective. Expect some heated debate at our Sunday symposium on Sports & Politics with a panel that includes Paul Kimmage, Alison O’Connor, Sonia O’Sullivan, Patrick Deeley and Christy O’Connor. And finish off the weekend with musical storytelling and performance with Little John Nee. The Irish Times describe him as “mesmeric and hilarious”. 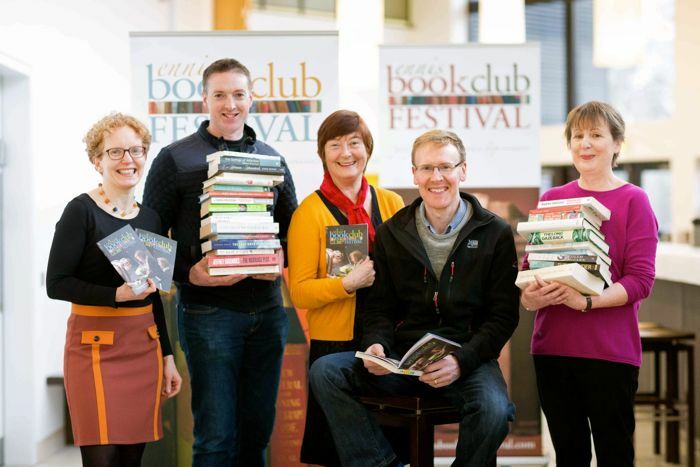 Couple all of the above with events already announced and selling fast – Paul Durcan, Michael Collins, The Irish Times Bookclub, our beloved 10 Books You Should Read and a Rick O’Shea Book Club Special. To download the programme please click here. For 2017, we’re delighted to be partnering with Clare County Library on our inaugural Children’s programme. All events are FREE and include our first Children’s Book Club with Caroline Busher; an opportunity to meet some favourite authors, including E.R. Murray and Dave Rudden; drawing workshops with Aidan Courtney and a visit from the Book Doctors! We’re very active on Facebook and Twitter again this year. 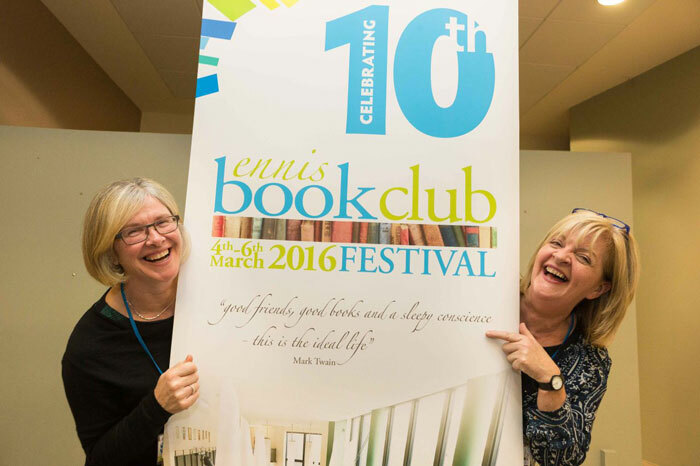 Add your comments to the mix at FB – Ennis Book Club Festival – and twitter @ebcf or #EBCF2017. We also hope to meet you at our Festival HQ - The Spás @ glór – in March. Book club members, why not bring your latest reads to swap for another group’s set of books? 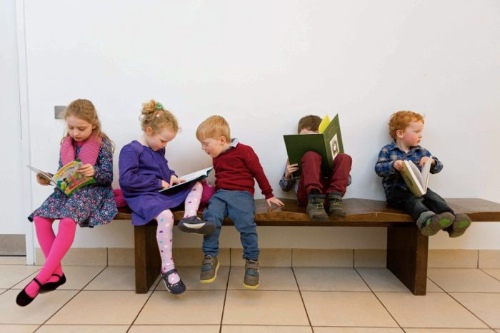 It’s a practical and eco-friendly idea being championed by Galway librarian, Siobhán Arkins. Full details on our social media channels. Or just bring a wrapped book to add to our “blind” book swap. You never know what you might come away with yourself! Most importantly, come and say hello, make yourself known and join the discussion on our love affair with books. Look forward to seeing you in Ennis in March. Copyright © 2017 Ennis Book Club Festival, All rights reserved.